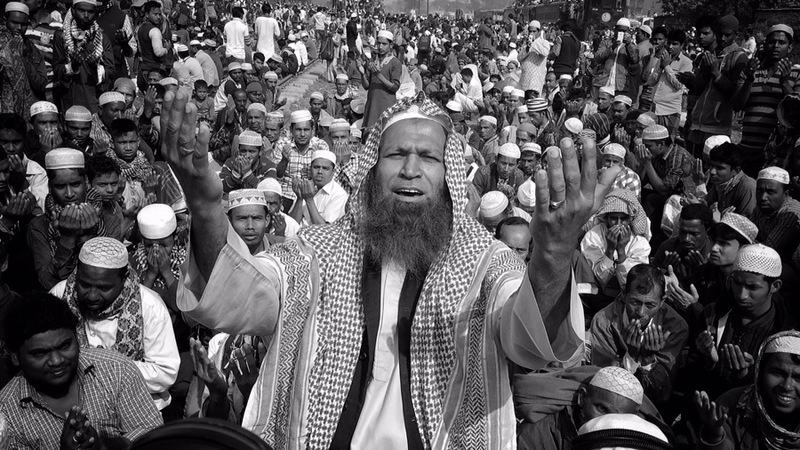 The Bishwajit Ijtema meaning Global Congregation is an annual gathering of Muslims in Tongi, by the banks of the River Turag, in the outskirts of Dhaka, Bangladesh. It is the second largest Islamic congregation after the Hajj. Ijtema is an Arabic word which means public gathering. 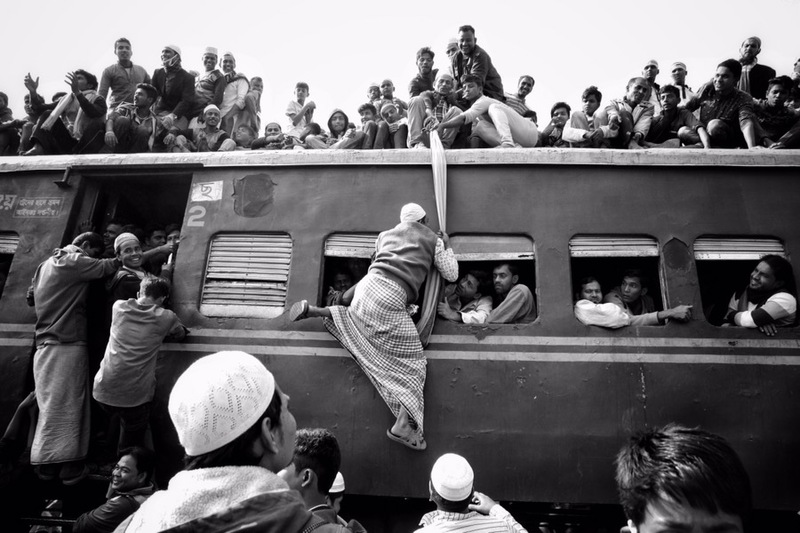 In Bengali, the event is known as the “Bishwa Ijtema”. Bishwa is a Bengali word which means world. Every year thousands of Muslims gathered and join the Ijtema is a prayer meeting spread over three days, during which attending devotees perform daily prayers while listening to scholars reciting and explaining verses from the Quran. It is attended by devotees from 150 countries.Speakers include Islamic scholars from various countries. In this year devotees from home and abroad were seen streaming towards the gathering site on the 1st phases 15-17 January 2017. According to organizers, around three million people have taken part in the final prayers,During the Final Prayer,huge crowds stretch from the Ijtema ground in Tongi into the Dhaka metropolitan area. Schools and offices are declared closed on the occasion. The Bengali Tabhlighi Jamaat movement started in Dhaka, East Bengal during the 1950s. 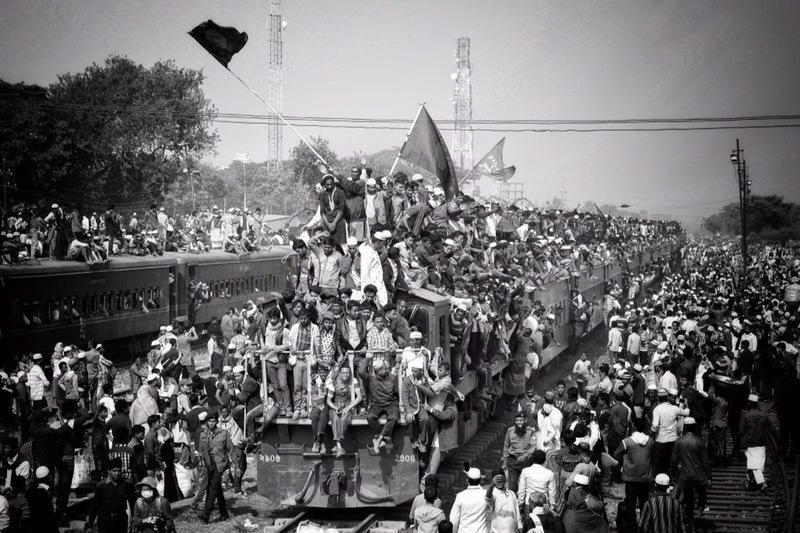 The first Ijtemas were organized in Chittagong 1954 and Narayangonj 1958 followed by Ijtemas at the Ramna Race Course in Dhaka in 1960, 1962 and 1965 Due to the increasing rate of participants, the government of East Pakistan allowed organizers to schedule the event annually by the River Turag in Tongi 1967. As the number of participants increased, The government of Bangladesh allotted 160 acres of land was acquired and developed as a permanent Ijtema ground in Tongi. The Ijtema is considered a demonstration of Muslim unity, solidarity, mutual love and respect and an opportunity to reiterate their commitment to Islamic values.